This past weekend Jovanna and I headed up to Yosemite to camp, hike, climb, and enjoy the outdoors. 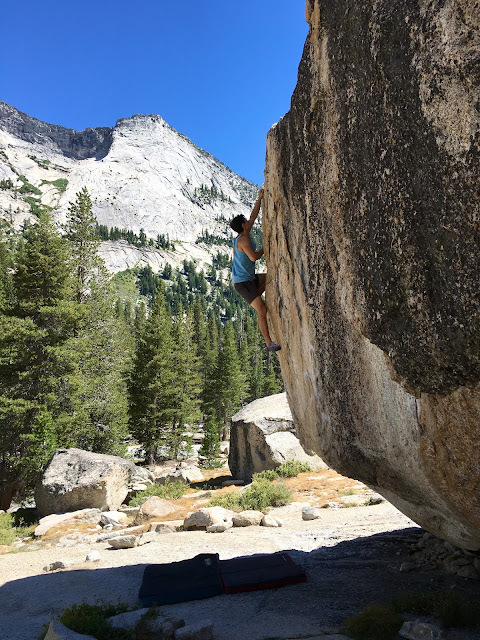 On Friday we dedicated the first half of the day to sampling the Tuolumne Meadows granite before heading to Lake Tenya to cool off. Can't wait to come back here in fall!